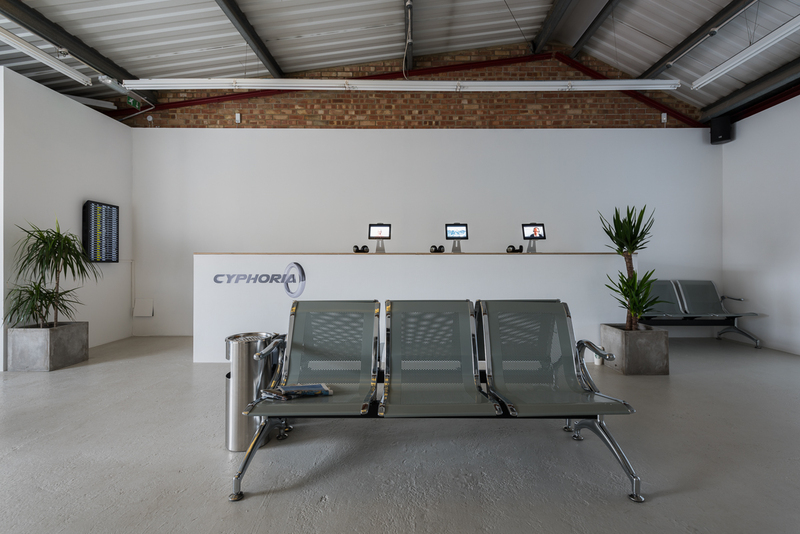 Annka Kultys Gallery is pleased to present the exhibition Cyphoria, featuring a recent video and a large scale print by London-based artist Stine Deja, marking the artist’s first show with the gallery. 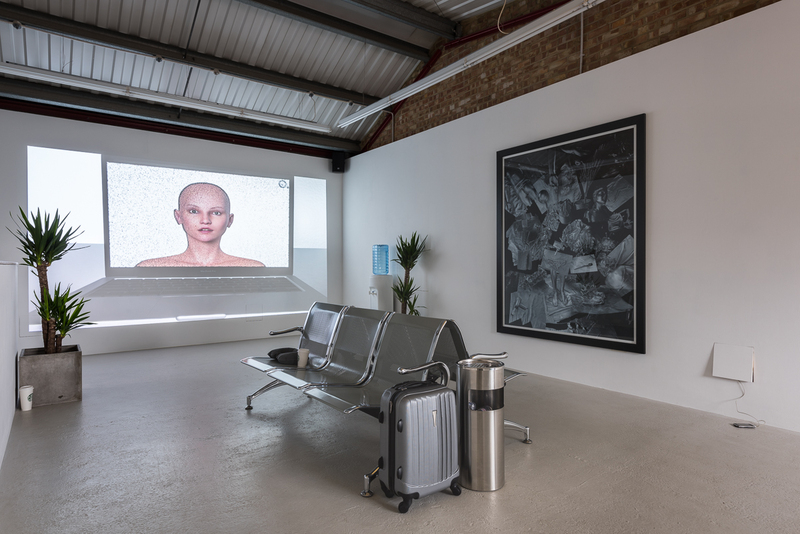 The exhibition consists of a large projection, alongside an immersive installation evoking the sense of an airport departure lounge for a cyber traveller. Deja’s lavish and sleek video-animations wash over the viewer, encapsulating the viewer’s consciousness in a bubble of highly stylised motifs and graphics often accompanied by music. These microcosms are punctuated with footage found in the public domain, integrating a sense of parody and the absurd within the narrative. 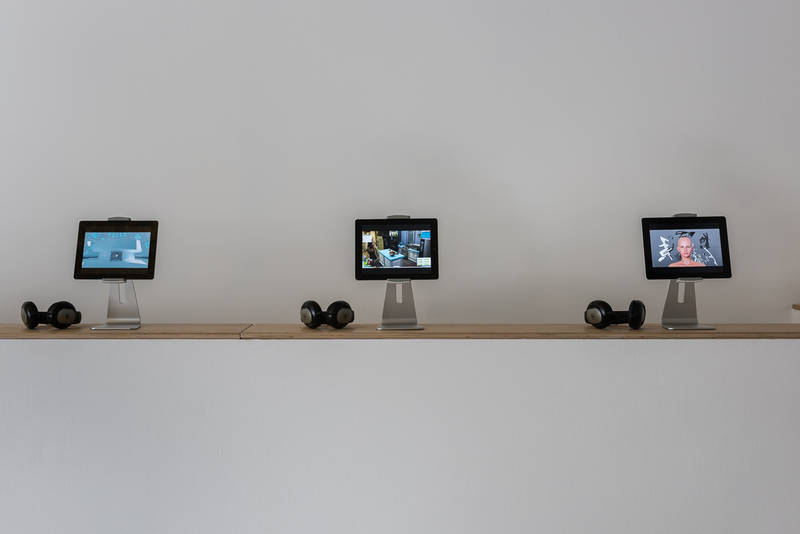 Throughout Deja’s practice, the use of voice-over guides each viewer’s gaze across the transient planes of her videos. Within this generated space, viewers inhabit digital surrogates that negotiate the malleable borders separating the ‘real’ and the ‘virtual.’ These entities possess an uncanny familiarity; their responsive range stretching from comforting to ironic. 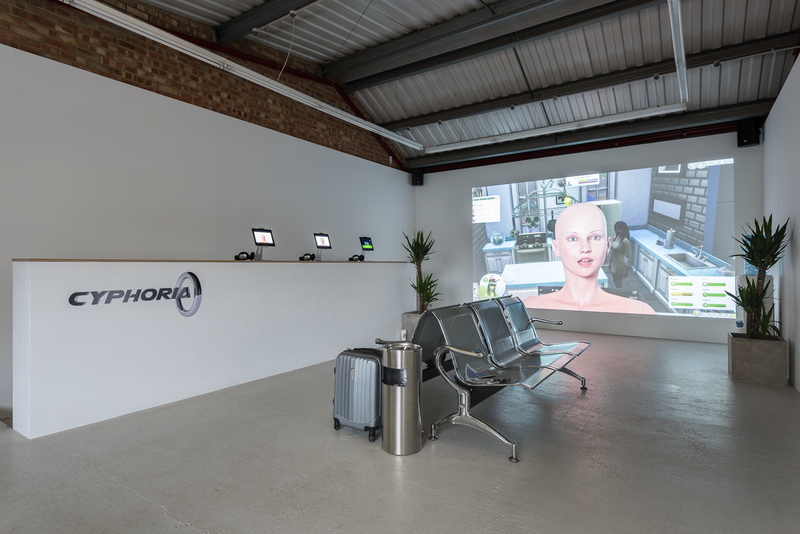 Deja’s digital human proxies simultaneously probe both cyberspace and the viewer’s psyche, investigating the extent by which genuine emotional feeling within this virtual domain shapes us as social beings. 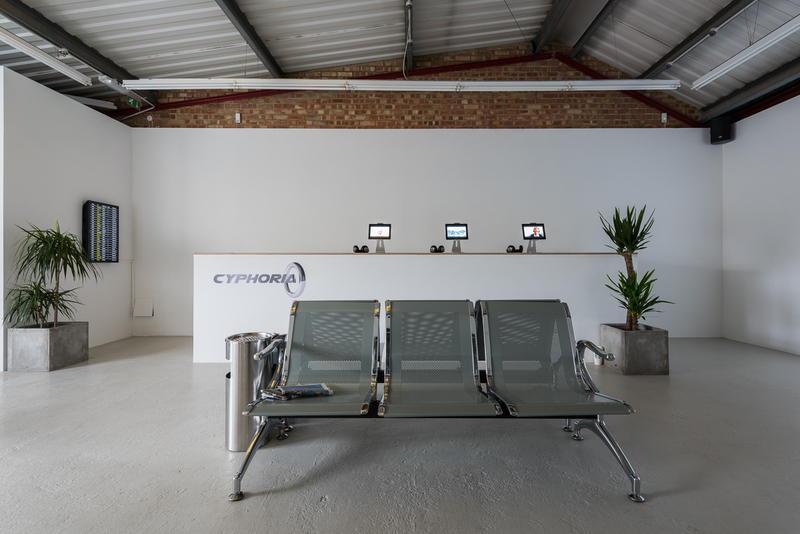 Cyphoria can be seen as a metaphysical travel agency, offering to transport the viewer to an unrestrained plethora of destinations beyond the limitations of the physical body. The destinations exist in cyberspace but only become animate with the approval of the traveller. The power of imagination is central to this process, as the terminals of Cyphoria’s operation are equally founded in concept as they are in the tangible machines that mediate and support them. Cyberspace has become the extended nervous system of the body, following the notion that such a realm can constitute reality. 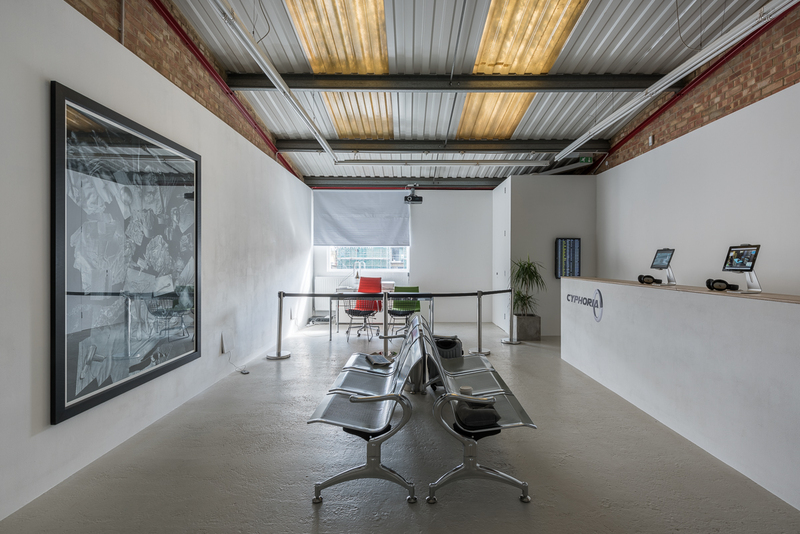 In her installation for Annka Kultys Gallery, Deja has chosen to replicate an airport terminal in the gallery space. 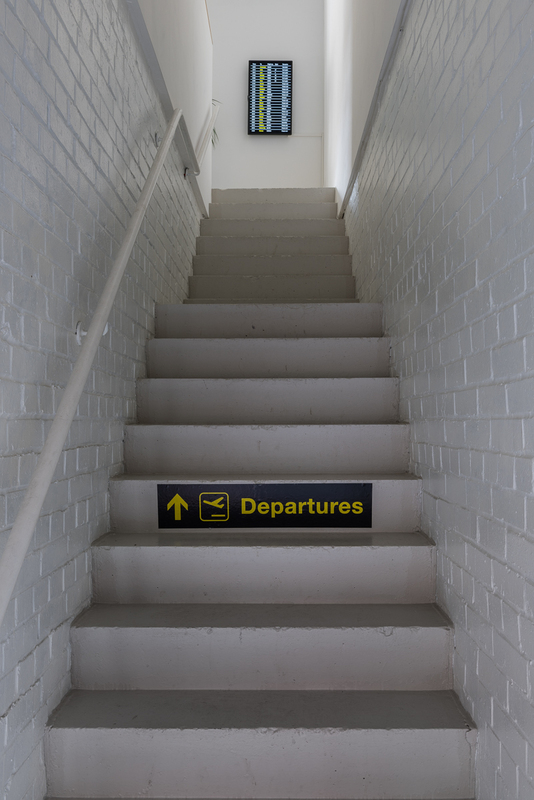 The visitor begins with departure signage on the staircase. 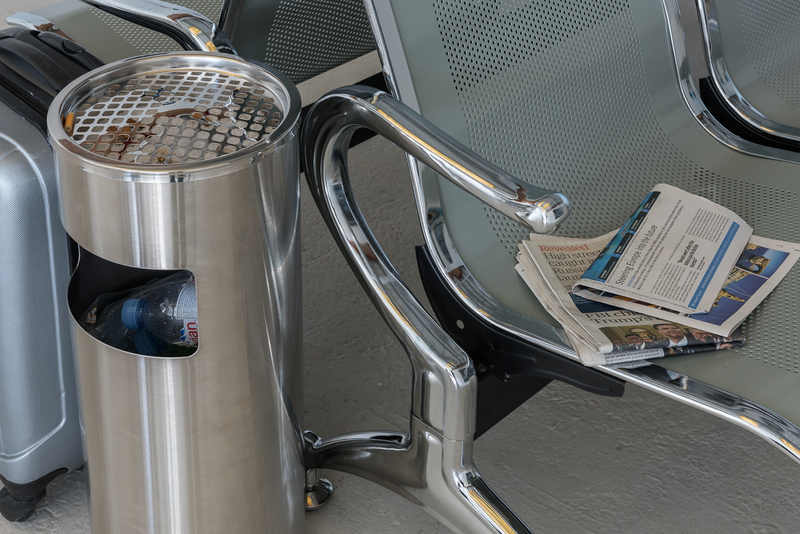 In the centre of the gallery are metallic waiting room chairs, and scattered throughout the space are a range of ephemera reminiscent of airports: crowd barriers, a lost suitcase, a refuse bin, generic plants, discarded Starbucks cups, a phone plugged into the wall charging, a water cooler and directional signage on the floor. The overall effect is to create the feeling one has entered an airport terminal. 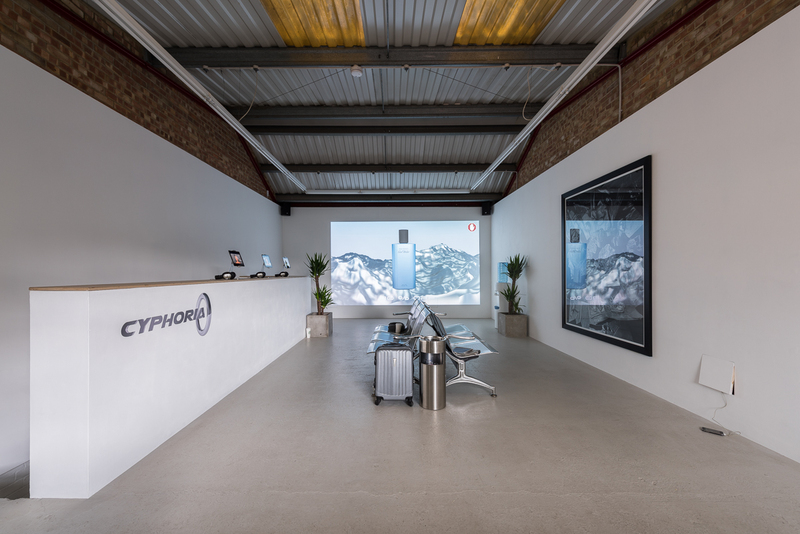 The central work of the exhibition is the video Cyphoria (2015), displayed via a large projector and three iPads. This video-animation eschews the notions of the hyperlink or simple moving image in favour of a thought-experiment, proposing instead a hypothetical way of being within the digitised age. The infrastructure of the Cyphoria agency within the video shows a series of opulent and spacious buildings, stretching into an idealised cityscape of shimmering light. Within this metropolis the formation of cybernetic environments occurs, through both the participant’s vision and involvement. Inhabitation breeds meaning, as viewers and digital surrogates alike create communities as the total sum of construction. 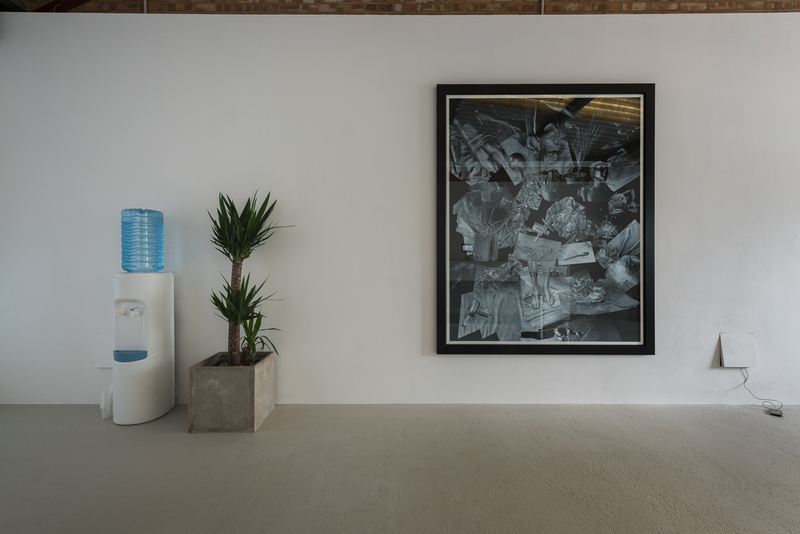 On an adjacent wall, the large scale print Electronic Nomad (2015) features 3D printed replicas of the artist’s own belongings. To create the print, Deja 3D-scanned those objects she felt most represented her identity and which she would want to ‘take with her’ to places and times beyond the present. 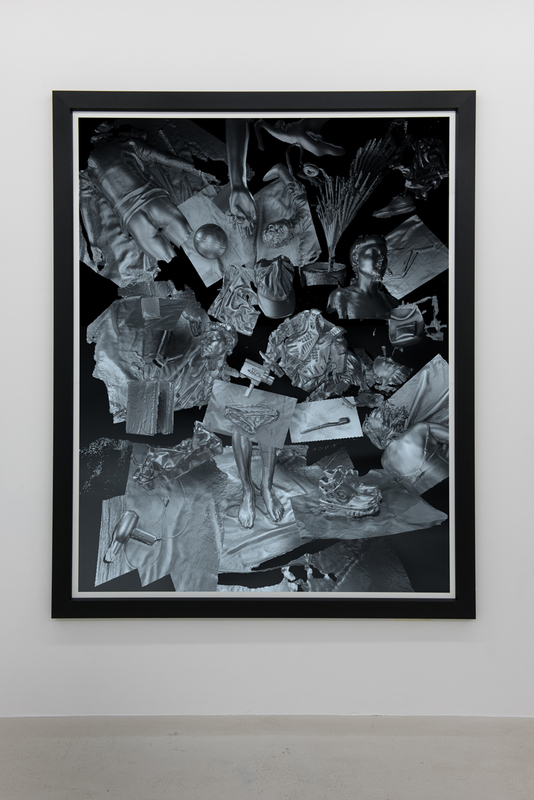 In the print the objects become shifted, suspended and hyper-real. Throughout history, humans have travelled virtually through time and space. Via the act of drawing, photographing and even the use of language, a sense of suspension and distancing from reality is felt. Each of these processes provides a means of separation from actuality and can create alternate, liminal destinations for the mind. As the Deja notes, “I can easily call upon them [the chosen objects] when transitioning from the real world to the virtual world.” By translating her every-day, fixed-existence into digital objects, Deja imbues them with a deeper, nomadic quality. This incidental escapism galvanizes perception, accentuating the possibility of experience without the body. Positioned at the centre of the installation, the viewer must adopt the role of a cyber traveller. Technology has become the architecture of intimacy: every day each of us has authentic, intimate moments inside the virtual realm.